Coffee enthusiasts from around the globe consider espresso to be the purest and most form of this caffeinated drink. As history’s first instant coffee beverage, espresso brings out the very essence of the coffee bean and fully exposes its rich flavor and aroma. However, until recently, people who wanted to enjoy a cup of authentic espresso had to go out to a cafe or visit a coffee house that specializes in making this unique beverage. With the Breville Barista Express Espresso Machine, you can now pull your own shots of espresso in the comfort of your own home. 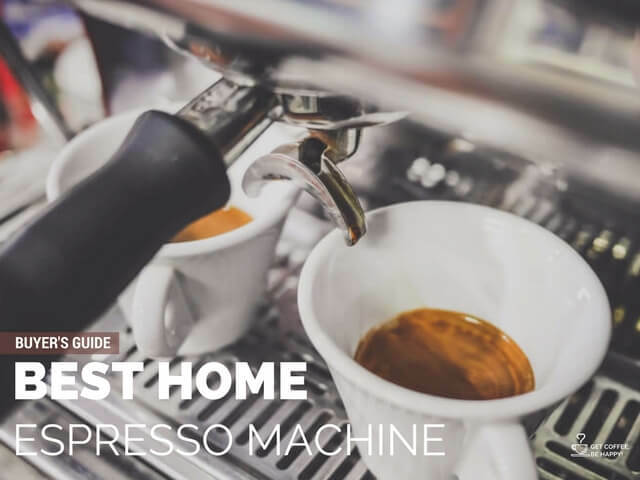 You can find out why this machine can be the ideal addition to your kitchen by learning more about its design and espresso making capabilities. 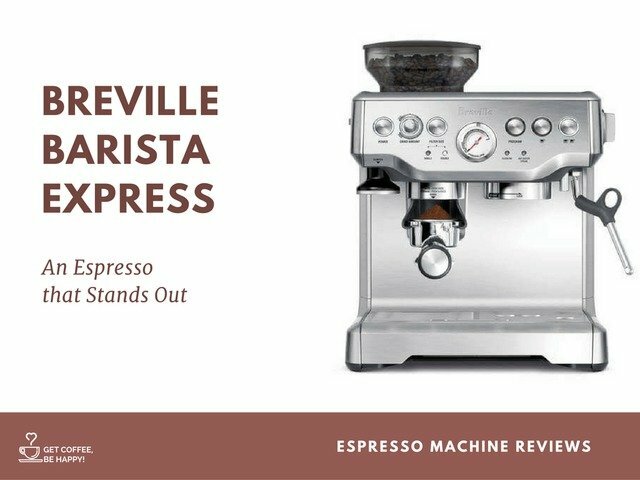 With its ability to brew and draw full-bodied and delicious cups of espresso, the Breville BES870XL Express Espresso Machine pays homage to the first espresso machine built in 1884 and its inventor Angelo Moriondo. 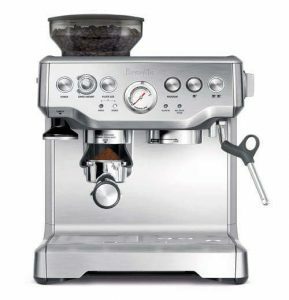 The espressos created by this machine live up to the high standards of this coffee drink so that you will know that you have made a wise investment in adding this Breville appliance to your kitchen. It also makes a great addition to your home with its sleek industrial design and its lightweight, compact size. Because it heats up fast and is ready to use in minutes, it makes a convenient and modern addition to your kitchen appliance collection. It is best suited for people who like full-bodied cups of espresso without the expense and hassle of going to coffee houses. It also is perfect for people who like to create foam on their espressos or who prefer a more authentic flavor that what may be available from machines that use espresso pods. The appearance of this Breville Espresso Maker may draw your attention first with its sleek design and compact dimensions. It is made entirely out of easy-to-clean stainless steel and weighs a kitchen-friendly 23 pounds. It measures 13.2 by 12.5 by 15.8 inches, making it perfect for placing on your kitchen counters. It does not take up a lot of room and it is also easy to lift and transport if you move or want to rearrange your kitchen. It comes with an impressive 15 bar Italian pump and a powerful 1600W heating coil system. 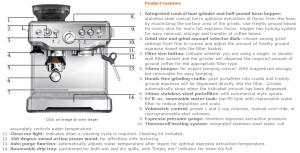 Its purge function also adjusts automatically to the water temperature so that you draw the perfect espresso each time. 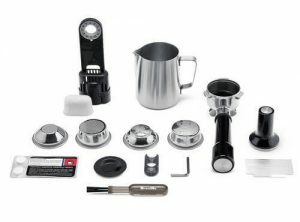 The bean grinder itself is cylindrical and made out of stainless steel for easy use and cleanup. The sealed bean hopper can accommodate a half pound of ground beans while the removable water tank can hold up to 67 fluid ounces. This at-home espresso machine is designed as well to accommodate espresso lovers of all skill levels. You do not have to be an experienced espresso aficionado to use this machine safely and effectively each time. Its adjustable dials allow you to choose fine to course ground beans. It also has a hands-free grinding filter that dispenses the espresso bean grindings directly into the filter. Other product design features found on this Breville Coffee Machine include its espresso pressure gauge that monitors and controls the extraction pressure. Espresso stands out as a unique and potent coffee that is recognized and favored by coffee lovers throughout the world. You no longer have to venture outside your home and stand in line at a coffee house to enjoy an espresso. With the Breville Barista Express you can draw aromatic and delicious espressos in the comfort of your own home. This machine is designed for easy and safe use and can the perfect addition to any espresso fan’s home. It also comes with a one-year warranty to guarantee your satisfaction with its performance and design.